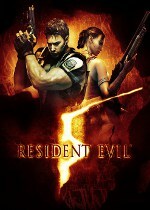 Listen to all the actors who have voiced the following Resident Evil 5 characters. Movies: Resident Evil: Degeneration, Resident Evil: Damnation, Resident Evil: Vendetta. Games: Resident Evil 6, Resident Evil 2 (2019), Resident Evil: Dead Aim.